A unique and exceptional guide! Established in 2000 by Alex Nouri, CPP, Author, blogger, and speaker, EFT Direct provides unparalleled responsible and responsive service and competitive rates to all industries on credit card processing, ACH and check guarantee, tokenization and vault, PCI Compliance, data breach insurance on credit card data up to $500,000 per merchant location, and business loans and merchant cash advance to any size merchant as well as to government. When you combine all of our services, EFT Direct is a one-stop shop for all your merchant solutions. We will assess your needs and rates and offer a compelling proposal with the most appropriate solution(s) free of charge. 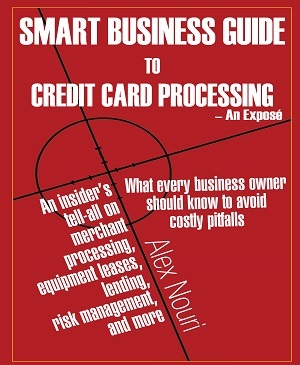 Mr. Nouri also provides educational webinars and seminars for merchants and FinTech professional throughout the country on topics discussed in his recent book. © 2019 EFT Direct - All rights reserved. Copyright © 2019 EFT Direct. Powered by WordPress. Theme: Spacious by ThemeGrill.